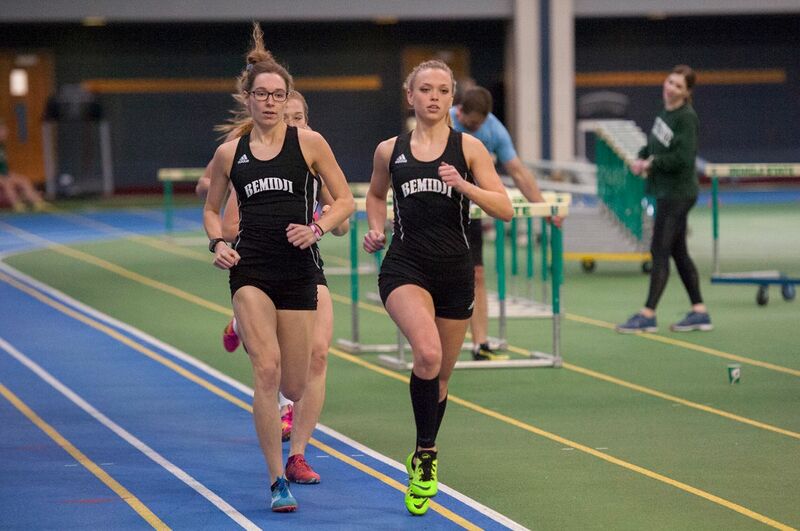 The Bemidji State University track and field team finished its first outdoor meet of 2019 as the top team after taking six event wins Sunday at the Saint John’s Invitational in Collegeville, Minn. As a team, the Beavers finished with 114.0 points, 20 points ahead of second place, while 17 personal record marks were set. On the track, BSU won four events including sophomore Cheri’A Adams in the 100-meter dash with a time of 13.40, freshman Ryne Prigge in the 800m run with a time of 2:20.24, senior Christa Benson in the 100m hurdles with a personal-record time of 15.49, and the 4x100m relay team with a time of 47.70. The throwers also brought home two event wins as junior Gena Baklund won the hammer throw with a toss of 161-feet-1-inch and freshman Zoe Christensen won the shot put with a personal-record heave of 41-05.75. In total, 18 Beavers finished within the top five of their respective events. BSU finished 20 points ahead of second-place College of St. Benedict while Northern Sun Intercollegiate Conference members University of Minnesota Duluth and St. Cloud State University finished third and sixth, respectively. BSU heads to the Dutch Invite in Pella, Iowa this weekend.